You ready for a crackin’ good time this Halloween? When you’re spending Halloween as Indiana Jones, you’ve gotta be ready for whatever comes your way! This famed archaeologist has discovering priceless artifacts, exploring hidden tombs and chambers, and searching for treasure since he was a young scout. And when your livelihood literally depends on being quick-footed enough to duck any booby-trap - or pit of snakes - you learn pretty quickly how to be whipsmart (geddit?) and adventure-ready! And that’s where his favorite bull whip comes in! A handy tool for a multitude of uses - snatching far away objects, a rope to swing over treacherous pits, or a weapon to scare away his worst enemy (snakes!) - this 6 foot long piece of leather has become a daredevil archeologists' best friend! 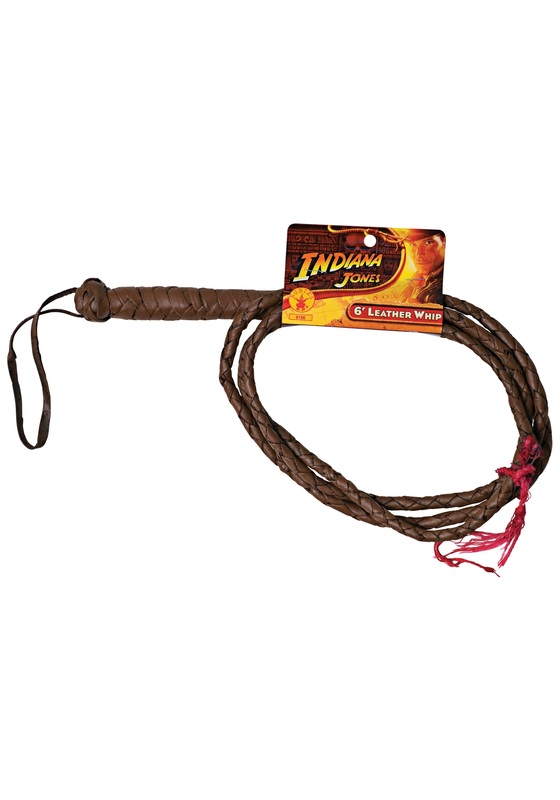 And Now you, too, can look just like the daring archeologist when you add this Leather Indiana Jones 6ft Whip as a finishing accessory to your Dr. Jones costume this Halloween! With this realistic 6 foot long whip, you'll be ready for any thing that comes your way...even snakes!